‘To call an extension listen for dialling tone, dial extension number, i.e. 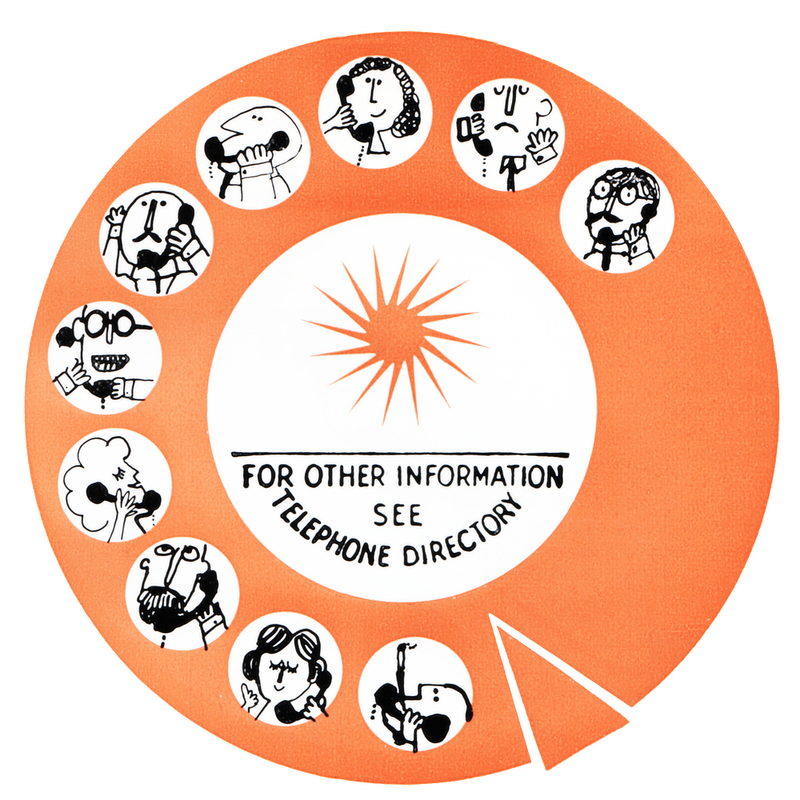 123.’ So goes the first instruction at the beginning of the page headed ‘Use of Private Automatic Telephone’ in the Associated-Rediffusion Telephone Directory. So we did what we were told and what did we get? Nothing. Nobody lives there. ‘Local calls – Dial 9 first to obtain line, then the number required, i.e. HOL 1234.’ So goes the second instruction. So we did what we were told and what did we get? Somebody who said what sounded like: ‘Sweetie, here’ but who turned out to be answering for A. F. & R. W. Tweedie, solicitors. Interesting. In fact the publication is one of the most interesting pieces of literature yet to be produced by Associated-Rediffusion. Whose is the mind that decides, for some devious reason, that a certain chosen few members of the female staff should be granted the honour of having their Christian names printed? ‘Allaby, Mrs Ailsa M.’ – whereas above her on the list lies poor, plain ‘Adams, Miss M. A.’ Worse still whose ruthless hand deprives some of the ladies of any Christian name at all? Witness ‘Ager, Miss’. And what terms of familiarity have you to reach with the compilers before a male is blessed with his Christian name? . . . ‘Allan, Elkan’; ‘Briggs, Ricky’; ‘Butler, James’; ‘Colin, Sid’; ‘Kyle, Redvers’; ‘Moir, Guthrie’; ‘Shulman, Milton’ and ‘West, Brian’ are the only ones to be given this high honour. A distinguished gathering, everyone will agree, but why them? What about the Toms, Dicks and Harrys? We also note that above the rank of Commander people have the best of both worlds … ‘Brownrigg, Captain, T. M.’ and ‘Northcott, Captain R. W. F.’ But even here there is discrimination. Note the additional comma after ‘Captain’ in the first name. Talking of the Navy a perusal of the directory reveals, for some unaccountable reason, that the staff includes a ‘Nelson’ and a ‘Neptune’ in neat juxtaposition. There is a ‘Cox’ to man the ‘Helm’ and a ‘Boatman’ for crew. There are even two ‘Crafts’, some ‘Wood’ with which to make them and a piece of ‘Sands’ from which to launch them in a ‘Gale’. Unfortunately, while there are umpteen ‘Wards’, there is not one ‘Room’.